I am so glad you are here for the 190th Inspire Me Tuesday. We had so many beautiful links last week, and we had quite a few new bloggers join the fun too. I hope you will give them all a huge hello and welcome to blogland. Now for a few things that grabbed my attention. In the reveal of their master bedroom at Living Vintage you have to do a double take to realize this is even the same space. Amazing detail with the ceiling and the wood walls. Totally unreal. You don't want to miss a single detail on this one. 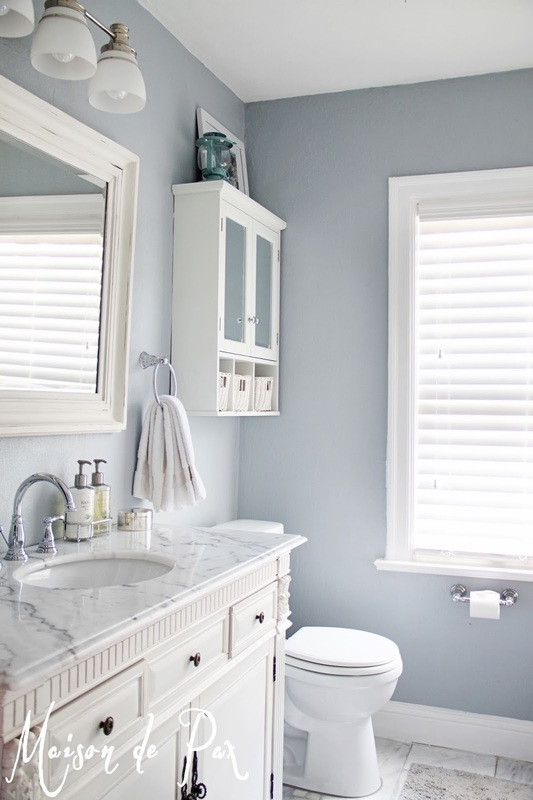 Maison de Pax gave us a tour of their bathroom redo. It is fabulous and I adore that vanity and all the wonderful marble they used. It is so luxurious and elegant. Wait until you see how they did the tub. This year I am loving all the beautiful neutral elements of fall and Simply Suzanne's At Home decor is so elegant with all of her white, silver and autumn leaves. 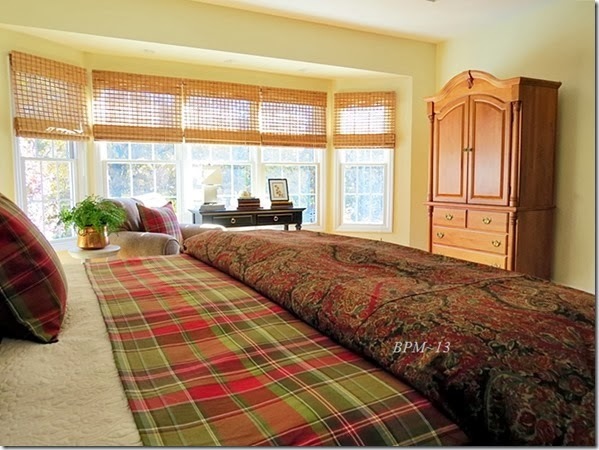 Pat at Back Porch Musings has such a gorgeous home and I love how she has warmed up her master bedroom with Plaid and Paisley patterns. So warm and inviting. If you have plain simple doors and want to give them some character, then you really need to go see the tutorial at Chatfield Court. Isn't this fabulous, such a creative idea. Oh and she's a new blogger too, so be sure to say hello and welcome. You really have to go see the before of this laundry room. You won't believe that $71 and a ton of creativity created this beautiful space. Designer Trapped in Lawyer Body has so many wonderful DIY projects she shared. Again a fabulous new blogger, so give her some love. The Interior Frugalista did an amazing job of redoing her guest room. I love that dark espresso wall, how dramatic and fabulous is that!! 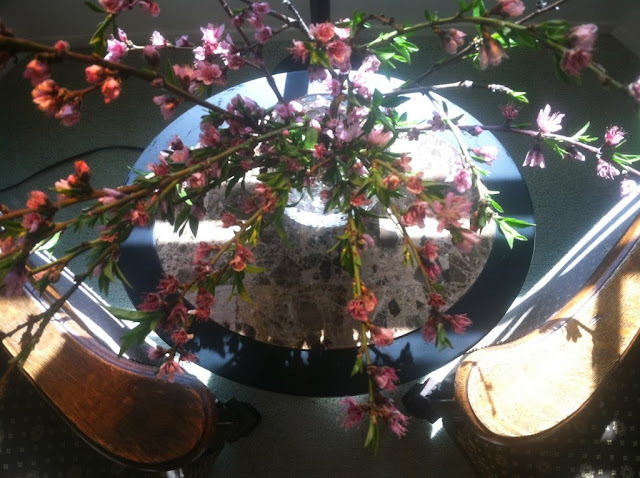 Jessica at 4 Interior Design gives us a great tutorial on flower arranging. She is also a brand new blogger, so be sure to go by and give her a huge hello. 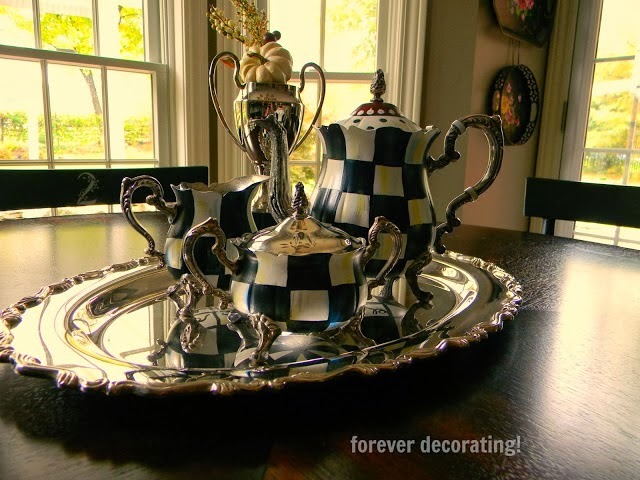 Now if you have a tea or coffee service that is really scared and just won't polish up bright and shiny, then maybe you want to paint it like this one that Forever Decorating did. Isn't this totally unreal and you don't want to miss pics of her son's wedding she shares too. I love, love, love all the beautiful detail to this beautiful Autumn Leaves tablescape that Designs by Pinky shared. 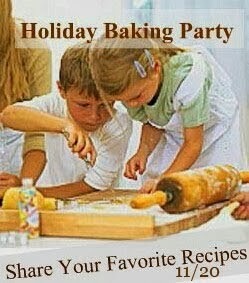 Be sure to mark your calendars for an Old Fashioned Holiday Baking Party Nov. 20th. There is always so much to see, you guys are so super talented. Ok, now what do you have for this week. Thank you for including our paisley and plaid room with these gorgeous spaces, Marty. Oh my goodness--thank you SO MUCH for featuring my laundry room reveal and for your kind words! And thanks for hosting this wonderful party! Lovely features! Thanks for hosting, Marty! Have a great week! wow, that bedroom transformation is amazing! Thanks so much for hosting! Thank You for inspiring us at least me, after all on what happened in my country. Hope everyone who participates will send a prayer for a better in The Philippines. Thank you so much for hosting this wonderful party, Marty! Thanks so much for hosting your linky party today for us. All the features are Beautiful I need to go look at them all. Thanks so much for hosting, Marty! I'm looking forward to your Holiday Baking Party! I hope you have a wonderful week! All beautiful features, Marty - each and every one! I did a double take on the bedroom too. Thank you for hosting! You always do such a lovely job. Wow, what gorgeous features today! Thank you for hosting! Thanks for hosting Marty dear! wonderful features as always! 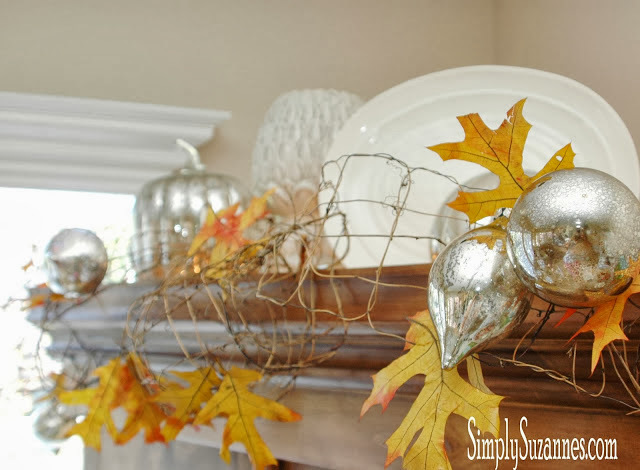 Love the fall leaves with silver and all the other lovely features. Thanks for the party! That fluff and fold is cute. I missed that last week. Thanks for hosting! Marty, thanks for hosting each week. Lots of inspiration here. Hi Marty, thank for hosting, very much appreciated. Great features (so much creative and hard work). Sweet Marty! Thank you so much for the wonderful feature! And as always . . . a big thank you for hosting another fun and inspirational link party! Amazing features, Marty! I'm headed over to check some of them out. Thanks for hosting! Marty the inspirations from the features are amazing! thank you for hosting ..hugs C.
Wow! Love that master BR redo and the MacKenzie-Childs look alike tea set! Thanks for hosting and featuring such good ones! Thanks for always hosting, Marty - lots of wonderful inspiration each week! Love the features, Marty. Thanks so much for hosting...have a wonderful week! Thanks so much for having us every week Marty, wow, it does get better and better! The talent out there is unbelievable! Thank you for hosting this fabulous link party Marty, and have a fabulous week! Hi Marty, thanks for hosting. Love the features! Have a wonderful week. Incredible design and amazing featured guests, dear friend!!! Hi Marty! Thank you so much for hosting this fun party each week! Have a wonderful evening! Thanks so much for hosting! I'm looking forward to the baking party next week. Love the cool blue and white bath. Thank you for hosting. So excited when one of my blog readers mentioned my Guest Room Makeover was featured here! Thank you so much Marty - you made my day. Hi Marty! Thanks for hosting and I hope you will stop by to enter my giveaway. Thanks for hosting again this week. Appreciate what you do. Hi Marty. 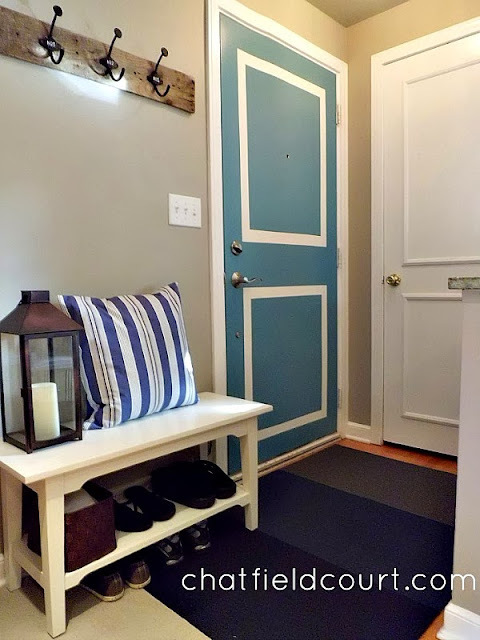 Thanks so very much for featuring my front door "molding" redo and for hosting. I really appreciate your support. Thanks for having another fun party this week. Loved all the features. 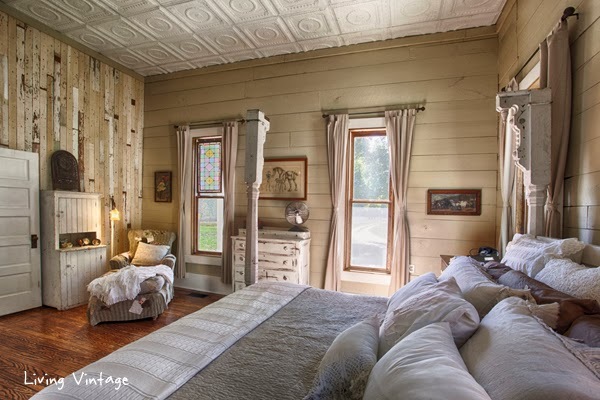 What an incredible makeover in the Living Vintage bedroom. How wonderful! Thanks for all of your other lovely features to and for hosting another party. You're the best Marty. Hi Marty - I love the features you chose this week, especially the Master Bedroom Reveal. Thanks for hosting another great party. Thank you for hosting Marty, I certainly love your features and I have my eye on the white and silver autumn mantel vignette! The features are amazing today Marty! Thanks for hosting the party! Gorgeous features Marty, as always. Thank you so much for having me at your great party! Have a lovely week. Thanks for hosting Marty, love all the features! Gosh, it's hard to believe that those features that you chose are bloggers and not high-end professional magazine spreads! Just beautiful! Thanks so much for hosting your party for us, Marty! Hi Marty! Oh, such gorgeous features! I've been so busy and haven't partied in a while but I will soon. I've just been posting some predone posts. Thank you so much for visiting my blog, Marty. I appreciate you so much. Wow, Marty! What beautiful spaces you featured!! Thank you so much for hosting this party. I know you work hard on it, and your hard work really shows--so many wonderful links! I'm sharing my new living room today. It's been a long, long time coming, and I'm happy to finally have it finished enough to be able to share it! Hey Marty!! Great Features!! Thanks so much for hosting another wonderful party. You are one of the most gracious hostesses out there in blog land!! Well I'm late to the party but I made it! LOL... Thanks for hosting! Hi there Marty, thank you so much hosting cant wait to visit all the inspiration! Thanks for hosting Marty! I love your party and enjoy all the inspiration! Thank you for hosting Marty ! Great features as well !! Marty, Love all the features! Thank you for hosting!! Marty I was a little early for the baking party. But, I will look and see if I can cook something yummy up next week!